Combining the groove with industrial techno, Peaky Pounder's 'Nervo' hits the speakers with an international flavor! 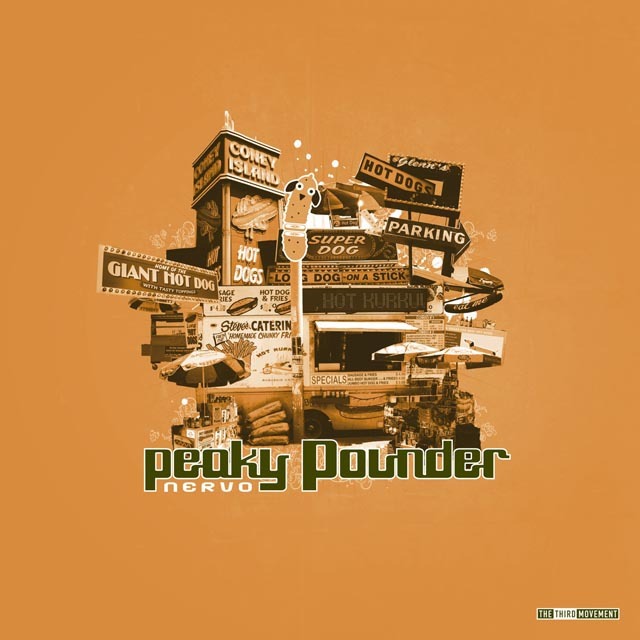 Merging 4 tracks into one orange packaged piece of music, this release again proves why there's only one Peaky Pounder. With rugged kicks and nervous sets of percussion, tracks like 'Miekan' will surely fill your funk needs. Special notice for 'Digital crack', a co-production with New York resident Lenny Dee! Presenting a dark mixture of both artists their skills, the result is quite refreshing! The two tracks on the flip-side explore a different tune. 'Nervo' combines the dirty Peaky sound with vocals by Dan Physics, while the track 'Nopea' takes on a break-beat angle, including soothing breakdown!